We are always looking for ways to save money. Always. 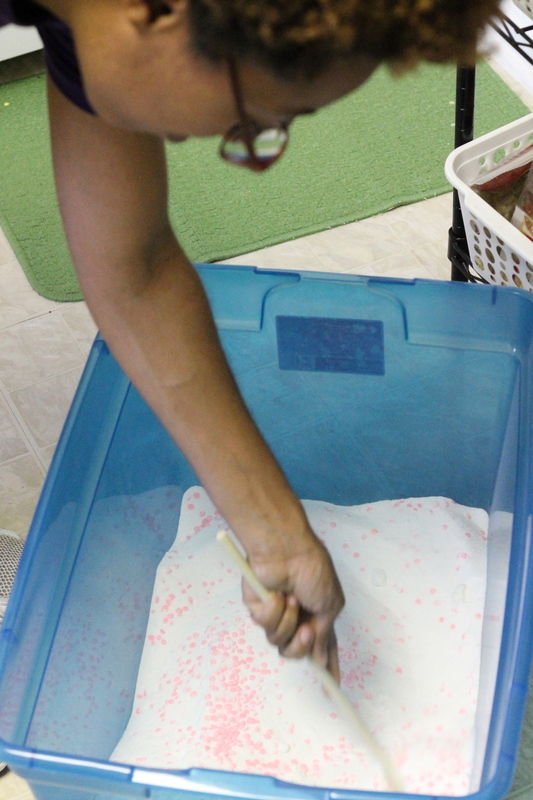 So when our friend Bridget M. told us about making her own dishwashing detergent we immediately wanted to give it a try. 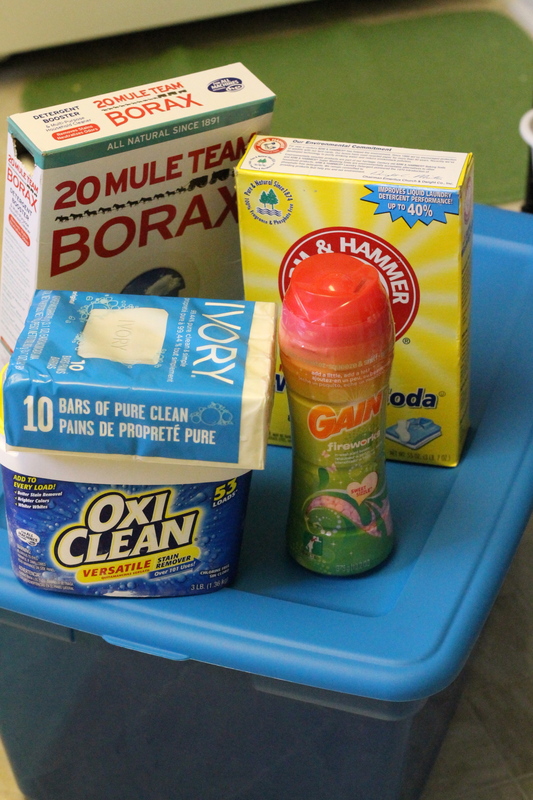 When we went looking for a recipe for dishwasher detergent we stumbled upon a blog post from happymoneysaver.com that had a recipe for laundry detergent. We were big fans of the new Tide detergent pods that look like dishwasher pods, but not fans of the price, especially since we kept forgetting to take a coupon to the store and were running out of detergent when it was not on sale. When the post for the homemade detergent promised that the recipe, which could be made with about $20 in ingredients, would last for about a year, we were sold. 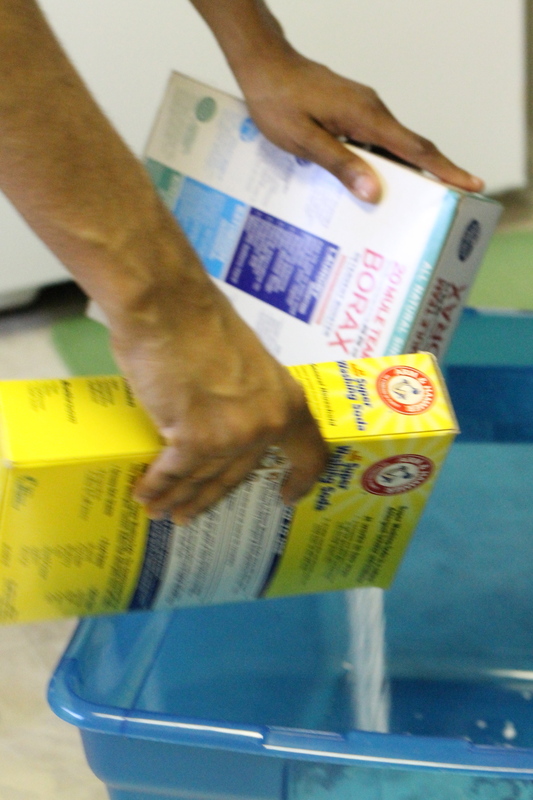 Most of the ingredients for homemade detergent can be found at your local supermarket or Walmart. Just look on the lowest shelf in the cleaning supply or laundry detergent aisle. You can get some of the supplies at Target, but we were unable to find all of them there. If you are one-stop shopper, Walmart likely is your best bet for finding all the ingredients you need in one place. We have been using our homemade laundry detergent for about four months and all of our clothes look and smell fresh and clean. And by all, we mean our stinky running clothes (not that we’ve been running so much this year) too. The ingredients are inexpensive enough that even if we made it three or four times a year, we would still come out ahead in the laundry game. When we consider the time and effort it would cost us to clip coupons, diligently wait for sales and then not forget the coupons at the house on sale day and have to turn around and drive back home to get them? Nawl. Just…nawl. This project is Too Thrifty Chicks approved. It’s easy, cheap and works. Try it. Categories: Cleaning, DIY, Uncategorized | Tags: arm and hammer, baking soda, Borax, cleaning, DIY, do it yourself, homemade, laundry, laundry detergent, Oxi-Clean, Zote | Permalink. 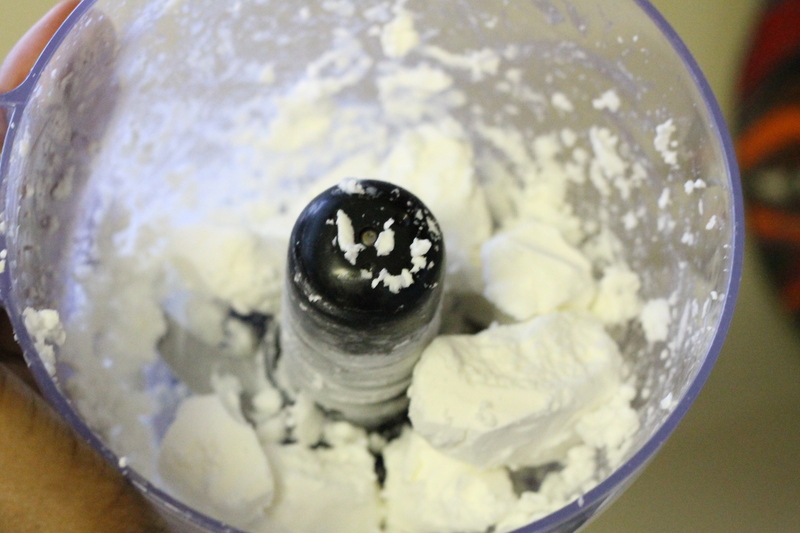 I make my own laundry detergent and use either Fels-Naptha soap or Kirk’s Castile. I have a hand-held grater that I use rather than buy pre-flaked soap. I have super sensitive skin and haven’t had ANY issues with this stuff. And at a tablespoon per load (2 for towels or large loads) it’s lasted me MONTHS. I will definitely try this once I run out of my own laundry detergent 🙂 My roommate has been going green with our cleaning supplies and I am loving it. Let us know how it turns out if you make it or if you find a different formula for it. We like trying new things. Thank you so much for the love about the blog! We hope to get to a place where we have the resources and time to write more, but for now, we’re happy that our readers are happy with the content we can post.